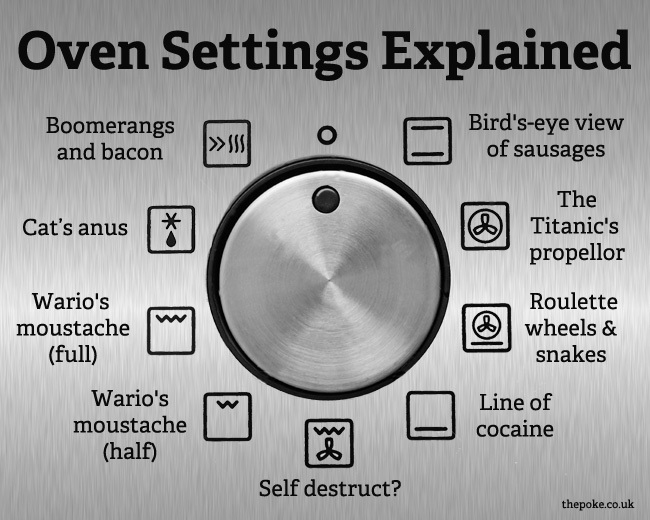 This entry was posted in LOL and tagged funny pics, Humor, lol, Oven settings explained. Bookmark the permalink. Thank you for this wonderful help. Now I just need to know where I can buy some cats anuses for my guests.